The fundraising subcommittee of Blackwood Uniting Church organises Kyton’s Fundraisers during each year for Easter, Winter Warmers and Christmas Fare to help support our provision of services to families and children in the local area. Please check the Fundraisers below and download your order form. Order your Kytons Winter Warmers products now – wonderful pies and savoury rolls and other goodies, plus all the usual favourites. Order forms are also available in the church foyer or see Marnie Agnew, Bec English or Jacqui in the office. Orders need to be handed in with the money by Monday 25th July. Orders will be available on thursday 28th July . 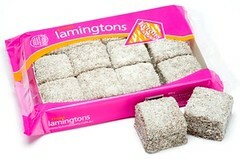 Our third Kytons fundraiser for the year offers yummy Christmas goodies along with the perennial favourites, their range of lamingtons and fruit crumbles. If you would like to support our Christmas Fare Fundraiser 2015 and purchase any of the yummy Christmas goodies available, you can get an order from from Bec English and Marnie Agnew, the office/front foyer and the table in the back entrance hall. 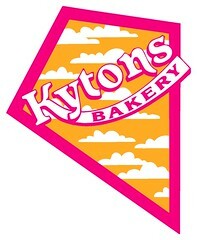 Click this link to download a Kytons Christmas Order Form 2015. These should be returned with payment by Thursday the 10th of December. Orders will be available for collection from the church foyer the following week (15th – 17th, date to be confirmed). If you can’t make it to the church that day, please talk to Bec or Marnie for alternative pick-up arrangements. If we get 100 items ordered we get a discount, and as it is our third Kytons fundraiser for the current year we also get an extra bonus discount. Check out the range of yummy hot cross buns (including Menz Fruchoc buns!) and this year they have added Gluten Free hot cross buns from Lifestyle Bakery. Also on offer are the year-round range of goodies including new choc-coffee lamingtons and the ever-popular apple and apricot crumbles. Orders must be in by Monday, 23rd March, with payment, and will be available for pick-up from the church on Saturday 28th March from 9.30-11.30 (or we can put them in the frig till the Sunday, or in the freezer for later pick-up). For more information see Bec English (mob: 0422 112 122, e: rebecca.agnew@yahoo.com.au) or Marnie Agnew (mob 0408 474 699, e: agnew05@bigpond.net.au ), download the appropriate order form above or you can pick up a form from the table in the hallway, the noticeboard in the hall or from the office. If you would like to learn more about this special organisation for groups and fund-raising opportunities, click here to go to the Kytons Bakery website.